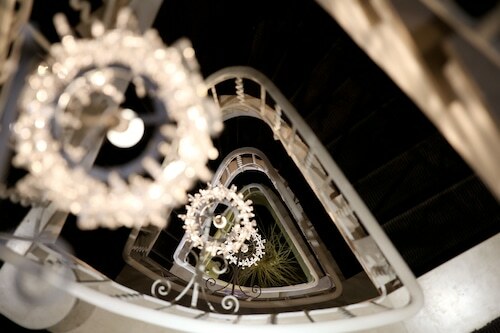 Situated in Aix-en-Provence, this hotel is within a 10-minute walk of Église Saint-Jean-de-Malte and Granet Museum. Place des Quatre-Dauphins and Fontaine Moussue are also within 15 minutes. Aix-en-Provence Station is 15 minutes by foot. Situated on a river, this residence is within 2 mi (3 km) of Église Saint-Jean-de-Malte, Granet Museum, and Place des Quatre-Dauphins. Place des Precheurs and Fontaine Moussue are also within 2 mi (3 km). 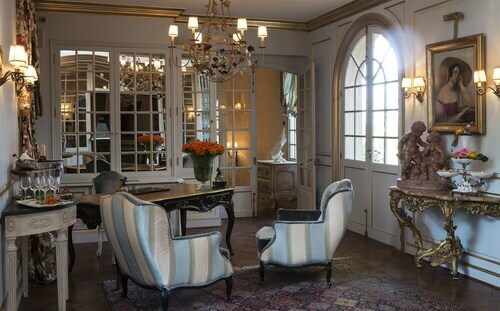 Located in Aix-en-Provence Historic Centre, this hotel is within a 5-minute walk of Pavillon de Vendome, Aix-en-Provence City Hall, and Les Allees Provencales. Saint-Sauveur Cathedral and Place d'Hotel de Ville are also within 5 minutes. Aix-en-Provence Station is 12 minutes by foot. 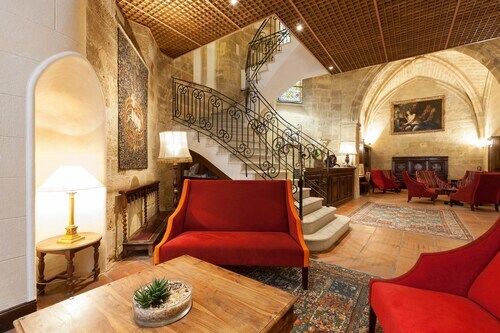 Located in the heart of Aix-en-Provence, this luxury hotel is within a 15-minute walk of Saint-Sauveur Cathedral, Place d'Hotel de Ville, and Aix-en-Provence City Hall. Place des Precheurs and Eglise de la Madeleine are also within 15 minutes. Aix-en-Provence Station is 21 minutes by foot. 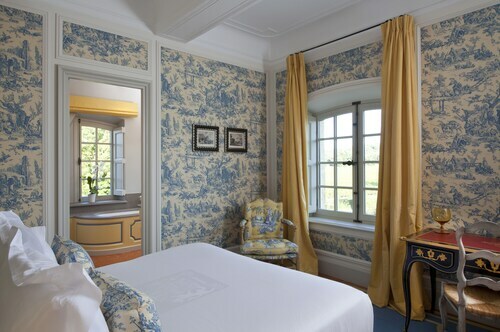 Situated in Rognes, this luxury hotel is 2.6 mi (4.1 km) from Chateau La Coste and within 9 mi (15 km) of Château La Coste in Provence and Terrain des Peintres. Musée du Calisson and Silvacane Abbey are also within 9 mi (15 km). How Much is a Hotel Room in Aix-en-Provence? 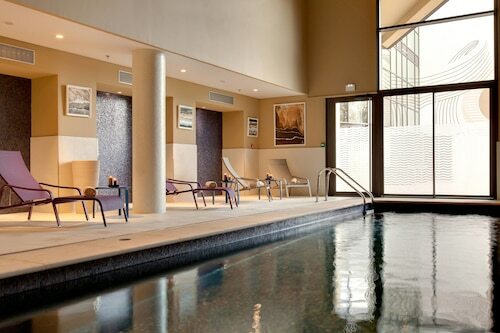 Hotels in Aix-en-Provence start at $43 per night. Prices and availability subject to change. Additional terms may apply. When you're looking for inspiring accommodation in Aix-en-Provence, you'll have no shortage of choices. Travelocity's handy booking guide features 61 hotels and apartments within 6 miles (10 kilometers) of the center of Aix-en-Provence. 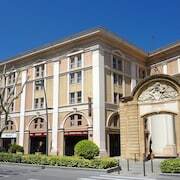 The most centrally located Travelocity-listed hotels of downtown Aix-en-Provence are the Hotel Le Pigonnet and Hotel De Gantès. 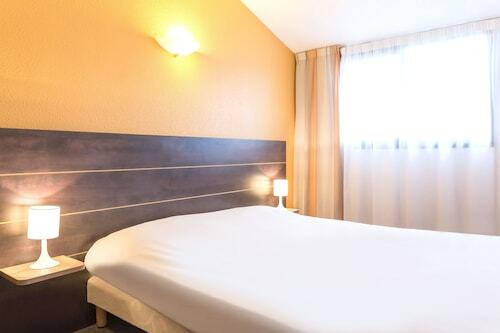 If you are on a journey to Aix-en-Provence to enjoy the sights of the Cours Mirabeau, the Place des Precheurs or the Saint-Sauveur Cathedral, you might like to find a hotel close by. 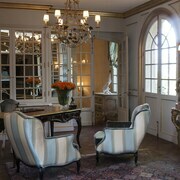 Places to stay that are near the Cours Mirabeau include the Villa Gallici and the Le Mas d'Entremont. 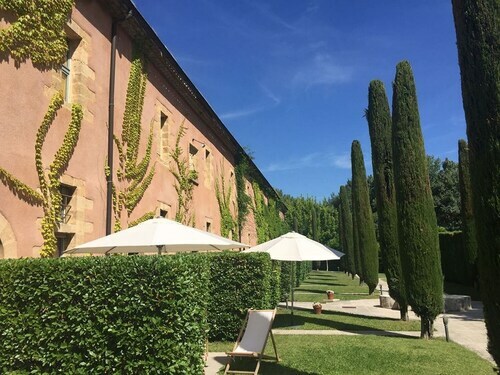 The Villa Gallici is an enjoyable walk of 0.6 miles (1 kilometer) from the interesting Cours Mirabeau, while the Le Mas d'Entremont is situated 2 miles (3 kilometers) away. 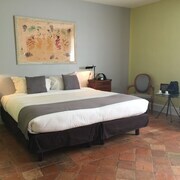 Two hotel options a short walk from the Place des Precheurs are the Cezanne Hotel and also the Grand Hôtel Roi René Aix en Provence MGallery By Sofitel. 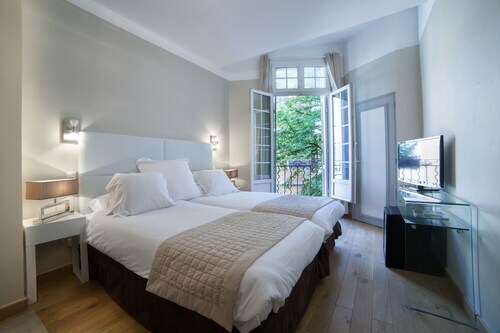 And finally, the Hotel des Augustins and also the Hotel Aquabella are handy hotel choices for those looking to lodge near the Saint-Sauveur Cathedral. You will find that it is no more than 0.3 miles (0.5 kilometers) to the Hotel des Augustins and 0.1 miles (0.15 kilometers) to the Hotel Aquabella. The Aix-en-Provence area features some budget hotel options that will satisfy even the thriftiest visitors. The Déjeunez Sous l'Arbre is 9 miles (15 kilometers) from the center of Aix-en-Provence, while the Hôtel Victor is 7 miles (12 kilometers) away. 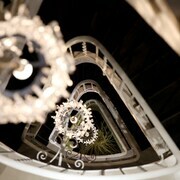 Other lower-cost hotels include the Appart'hôtel Odalys Atrium and the Escale Oceania Aix-en-Provence. The Le Petit Nice Passedat is located 18 miles (28 kilometers) from the central part of Aix-en-Provence. 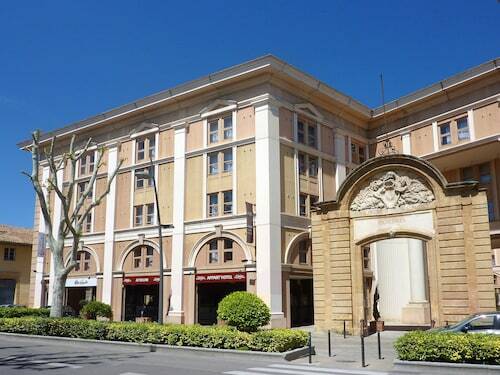 If you would prefer another option, the InterContinental Marseille - Hotel Dieu is about 16 miles (26 kilometers) away. Some other possible Travelocity-listed accommodation options include the Sofitel Marseille Vieux Port and the Hôtel la Résidence du Vieux-Port. Once you've seen Aix-en-Provence, you could set out to soak up the other natural and cultural attractions of the Provence - Alpes - Cote d'Azur area. Provence - Alpes - Cote d'Azur boasts rural landscapes and beaches, and commonly visited visitor sites are ruins, traditional villages and old towns. Locals and visitors alike in this area of France often enjoy picnicking. Are you looking for activities? You could spend a few hours exploring Nartelle Beach and Sainte-Maxime Golf Club, which can be found in Sainte-Maxime, 60 miles (97 kilometers) east of Aix-en-Provence. 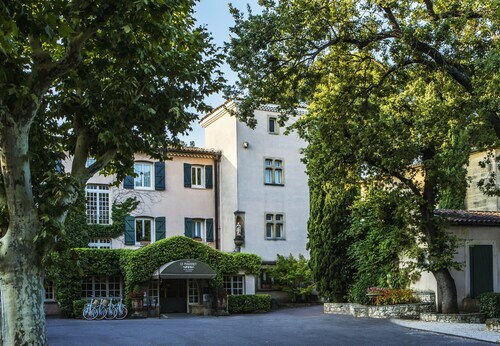 Some Sainte-Maxime lodgings include the La Belle Aurore and Résidence Lagrange Vacances Le Carré Beauchêne. 55 miles (93 kilometers) southeast of Aix-en-Provence, is Rayol-Canadel-sur-Mer, home to the Le Bailli de Suffren and Les Terrasses du Bailli Hôtel. The Pramousquier Beach and Domaine du Rayol are other popular points of interest to visit for those visiting Rayol-Canadel-sur-Mer. Situated 13 miles (20 kilometers) from the center of Aix-en-Provence is Marseille - Provence Airport. Stay nearby at ibis Styles Marseille Provence Aéroport or Hotel Campanile Marseille - Vitrolles Anjoly. Perfect location, modern decor, immaculate linens and bathroom, but best of all breakfast with Christianne.....delicious and welcome start of the day! The Hotel Artea is in a great location in Aix but the Family Suite that we got (2 rooms for 4 people) was actually an older apartment down the street and around the corner from the hotel in an entirely separate building. It was not in the hotel at all. The room was plain, needed some work and some paint repair. The bathroom was nicely updated but the toilet was in a separate room that had been a closet. Your knees almost hit the door when it was closed! Overall it was disappointing after the hotel and the hotel staff themselves had been so great. Lesson learned: Try to view a room before you pay for it. 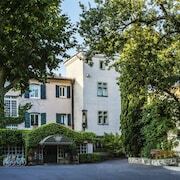 This centuries-old former convent is absolutely beautiful. It's located in the city center, perfect for walking to see the sights, and near many good restaurants and cafes. 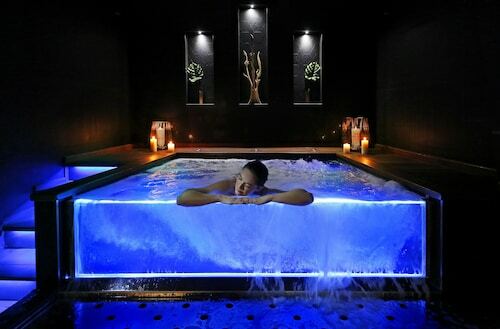 The staff all speak fluent English and are kind and efficient. Breakfast is included in the price of the room--a generous buffet. The elevator was not working and the stairs are difficult for an older person. But I would stay here again, no question. Such a quaint hotel. Just a little hot in some area (like exercise area and my room) but otherwise wonderful. The staff was so helpful and very nice experience! 5.0 Close to old town centre.